Dennis Okari and Betty Kyallo, just six months after exchanging vows, went their separate ways something that up to date still amazes many. The two were in a hyped marriage that was well broadcasted on social media but ended before it really began after rumors that Betty had been cheating all along. Their shot union was however blessed with a girl who now stays with her mother. 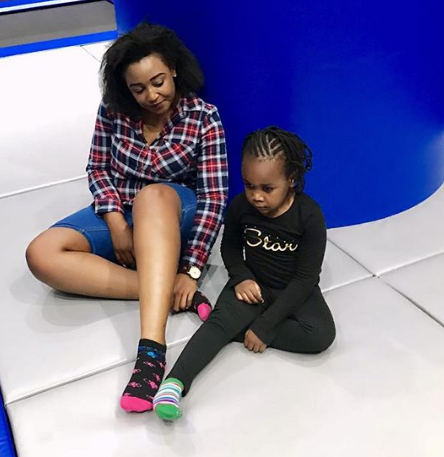 In an interview with Nairobi News, Dennis stated that he’s worried of the levels of social media exposure her daughter is getting. He said that he prefers she get’s a private life out of social media. “My daughter does not deserve the kind of publicity she has been getting, she deserves to grow up quietly and no one including myself as her father should interfere with her rights to privacy,” he told the website.